North Yorkshire’s police and crime commissioner could take over the work of the county’s fire authority as emergency services look at how to meet a new legal duty to collaborate. Legislation passed by Parliament now means the commissioners (PCCs) can make an application to oversee fire and rescue services as well as the police. Let’s be clear, this is not a merger. The two services will remain separate. While there is agreement at government and local level that the current governance arrangements are not driving collaboration between the two services quickly enough, there is no definitive model for those PCCs who do want to take on the extra powers. Options being considered in North Yorkshire range from PCC Julia Mulligan simply becoming a voting member of the fire authority to the more extreme step of her replacing the authority altogether and appointing a single chief officer to lead both the police and fire service. The preferred option, though, is that she replaces the fire authority to take over governance of both services, while each keeps operational independence and separate chiefs, roles and identities. Ms Mulligan said: “Let’s be clear, this is not a merger. 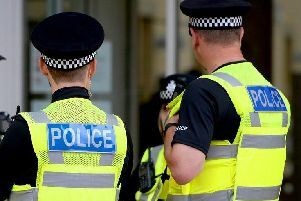 The two services will remain separate – police officers and fire officers will still have their own distinct roles, and budgets will always be kept separate. As she launched a public consultation today into the way the county’s fire service is overseen in future, Ms Mulligan said that bringing the oversight of the two services together would increase collaboration. This in turn, she said, would improve efficiency of both organisations, join up and enhance community safety, better support vulnerable people, improve transparency and save money that can be reinvested into frontline services. Setting out her vision, she said: “I believe that there are some real opportunities to improve the service to the public, especially the most vulnerable, and at the same time save tax-payers’ money and bolster and protect our frontline services. Should she be granted oversight of the fire service, Ms Mulligan intends to look at plans for sharing police and fire stations across more than 20 sites in North Yorkshire where they are already close together. The county’s police force recently relocated its headquarters to Northallerton’s Alverton Court, a move that will save approximately £10m compared to other proposals. Ms Mulligan said that moving the fire service’s headquarters there could save a further £250,000 of taxpayers’ money each year, which could be invested instead in frontline services. The public can visit www.telljulia.com to share their views until September 22. A review of the business case will then be carried out before an application is made to the Home Secretary.